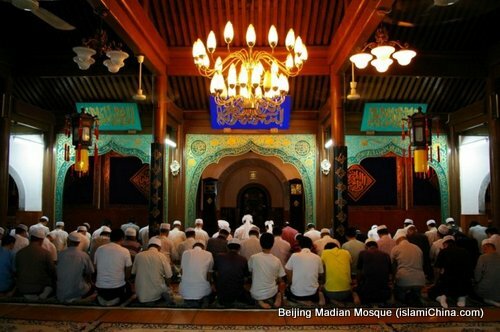 Beijing Madian Mosque is one of the famous mosques in Beijing with a long history. 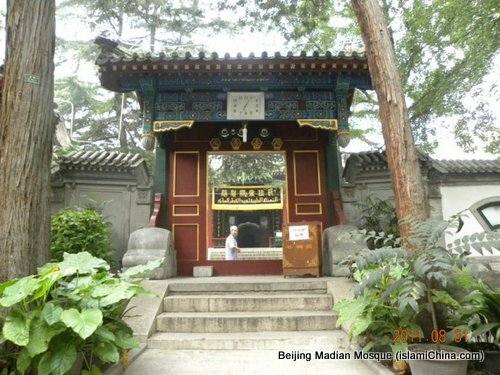 The area of Madian became a place where Chinese speaking Hui Muslims live closed to each other in the Ming Dynasty. 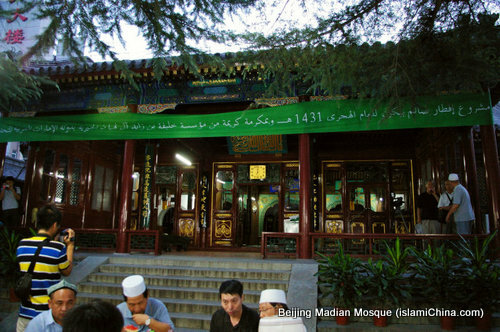 It is recorded that the number of Hui Muslims in Madian area was more or less the same like in Niujie area (the place with Niujie Mosque, the largest Hui Muslim commnunity in Beijing). 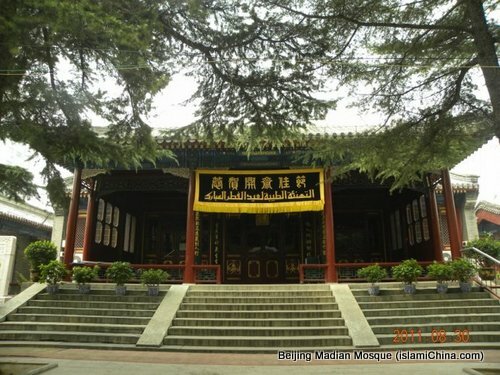 Due to the large Hui Muslim population in Madian area, a mosque was built here during Qing Dynasty Emperor Kangxi's reign (1661-1772). 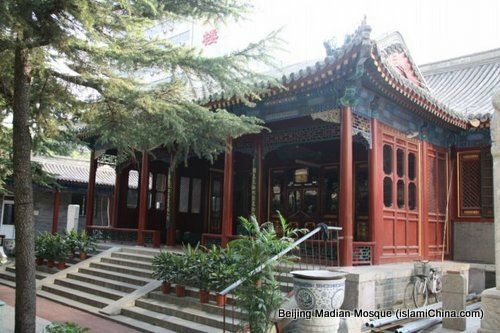 During the Culture Revolution (1966-1976), Madian Mosque was closed for religious service and it was turned into a factory and the prayer room became the workshop. 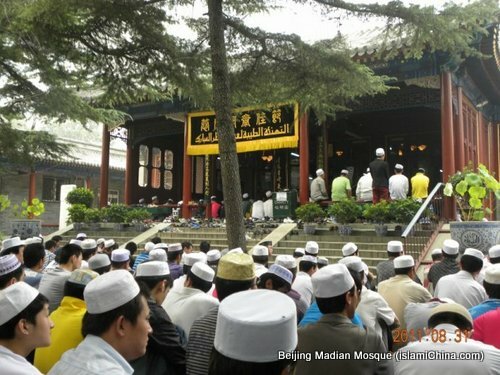 In 1982, the factory was moved away and Madian Mosque was returned to the local Muslim community. However, the prayer room was no longer suitalbe for salat. Local Muslims rasied money to rebuid the prayer room and lecture rooms. 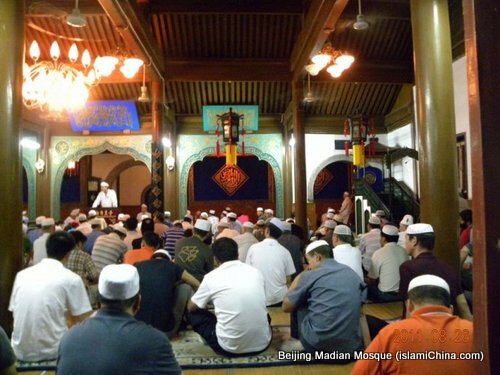 Covering an area of 3,800 square meters, the newly renovated Madian Mosque is in traditional Chinese courtyard. A stone stele stands on both sides (north and south) in front of the prayer hall.Many plaques engraved in Arabic are hung on the walls of the prayer room. 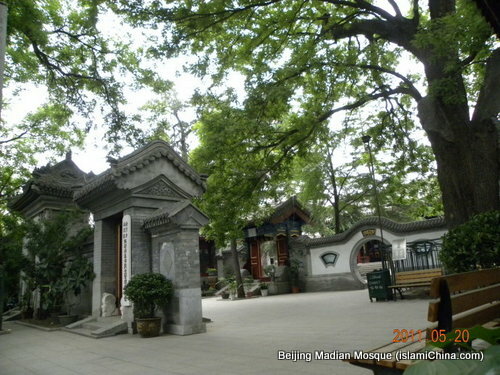 The female prayer room is available in Madian Mosque.